Here’s the link to the Coby Kyros MID7042 review and video review. 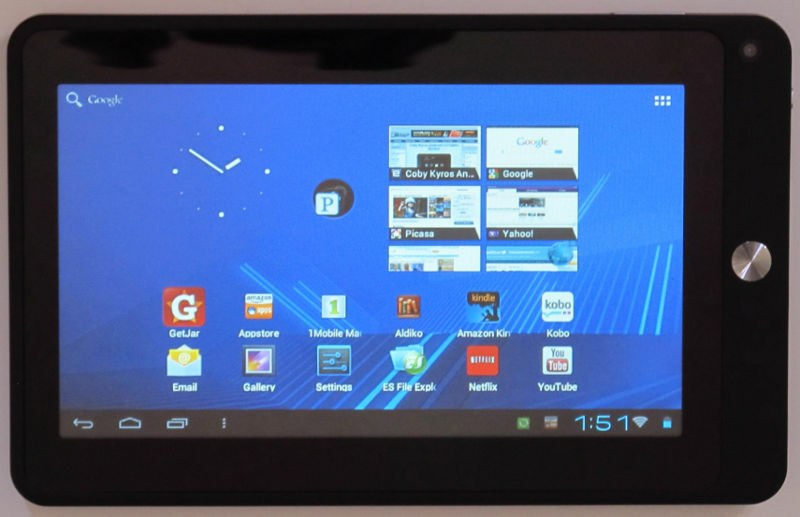 It is a 7-inch budget tablet that runs Android 4.0 Ice Cream Sandwich. I bought a Coby 7″ once and the battery died and it would no longer boot! Sent it back. Big Lots was selling a Polaroid brand of 7″ 4.0 tablets for $99 this past week (04/28/2012). I have bought Coby 7″ MID7042 Tab and it is useless for anything. None of the applications are supported even browsers with flash. China TAB is for most better than this. They have blocked google play and the app named Getstar is there. No useful applications are found here. Its a waste of your money!.